As per information the result of SBI recruitment Mains exam 2016 for the post of Junior Associates and Junior Agricultural Associates in Clerical Cadre that was conducted on June 25 and 26 will be declared on Sep 30. 2016. As per the schedule, the SBI clerk mains result likely to be declared on August 16, 2016 along with cut off marks and score card. SBI Clerk mains result 2016 delayed due to internal issues on selection process. As per the information, the SBI clerk mains result to be announced soon. 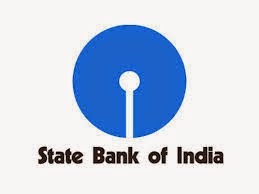 The result will be declared at the official website of State bank of India, sbi.co.in. Over 3 lakh candidates appeared for the SBI Clerk mains exam, which was successfully conducted on 25th and 26th of June 2016. Below are section wise cut off stats for sbi clerk mains exam 2016. Quantitative aptitude: 7 to 13 marks.